Four villages in Cameroon’s North West have been named as the next beneficiaries of a European Commission Stagiaires' Central Charity Grant to be administered by Bamenda-based NGO COPAAP. The four are Alatening, Baba II, Babungo and Konene. Each will receive a grant of around 2,000,000 CFA towards setting up a sustainable income generating activity that will benefit local people and raise revenue to empower rural communities in the fight against HIV and AIDS. 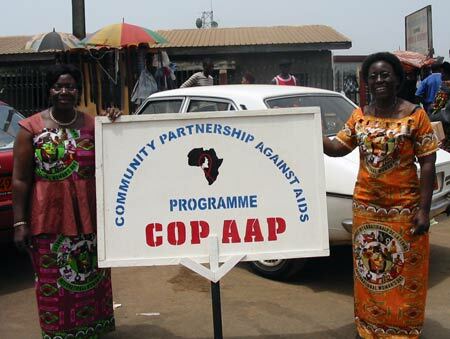 Remaining funds will be used for training workshops for village community leaders, associations of people living with HIV and AIDS and community health volunteers. It is anticipated that a percentage of the funds will also be matched by the villages themselves as they add their support to the plan. The four follow previous local grant recipients Akum, Njong, Mbu and Bamessing. COPAAP Founder Dr Achu P.N explained: “COPAAP was created simply because there was the recognition that it was impractical for people to regularly travel from their villages for treatment. It was expensive, time consuming and often impossible if roads were bad. “By providing supplies to be administered locally and by training a local person to do this we are putting in place a new system that not only prolongs life but also offers everything from AIDS awareness and education through to testing, counselling and support for HIV sufferers. The European Commission Grant was awarded specifically by the Association of the Stagiaires (Trainees) of the EC – Summer Stage 2008. 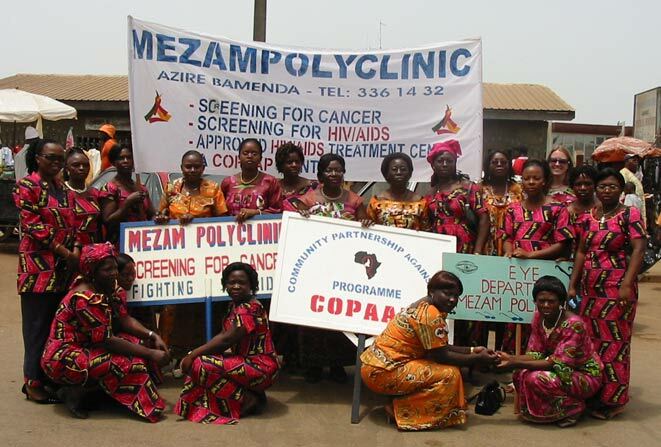 Staff from COPAAP and the Mezam Polyclinic participated in the International Women's Day march pass in Bamenda on March 8, 2007.